Product information "Swiftwater Easy-On Shoe Kids Light grey Croslite"
Functional as a sneaker, easily wearable as a slip-on. 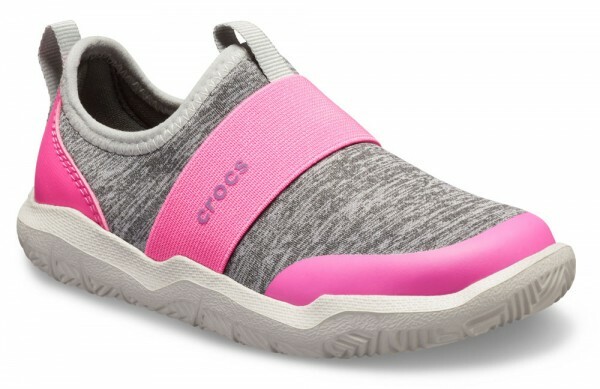 Kids will love the versatility of these Crocs, made with fashionably heathered stretch uppers that make getting out the door in the morning a cinch instead of a struggle. Croslite foam outsoles feature grooves that help channel water and mucky elements away for increased traction. Related links to "Swiftwater Easy-On Shoe Kids Light grey Croslite"
Customer evaluation for "Swiftwater Easy-On Shoe Kids Light grey Croslite"